Sleep technology innovator Responsive Surface Technology (ReST), the creators of the ReST Bed, has selected SMACK! Media to help plan and implement strategic marketing, media, public relations and athlete campaigns for 2017. ReST has created what is being billed as the only truly smart bed – a winner of ‘Innovation’ and ‘People’s Choice’ awards at CES, the world’s leading consumer electronics show. A ReST Bed is a mattress for athletes that ‘helps them sleep better and recover faster by promoting better circulation, which increases the amount of oxygen muscles can receive’. The sleeper can also customize pressure-relieving adjustments to the parts of the body that need them most at night. Additionally, the ReST Bed’s patented fabric ‘senses the sleeper’s unique shape and pressure profile – and then uses that data to ensure that the surface automatically responds to improve spinal alignment and head-to-toe back support’. The ReST Bed, a mattress for athletes, was developed to empower athletes with unique sleep data to help them perform their best. Since a sensor below the surface collects the data, the bed provides the benefits of wearable technologies without the need for a wearable. ReST has kicked off a marketing and media campaign in triathlon that has received the attention of 3-time IRONMAN World Champion, Mirinda ‘Rinny’ Carfrae and one of the world’s leading triathlon coaches and Hall of Famer, Siri Lindley. These celebrated women are official partners of the sleep innovation leader and will be a part of print, digital, media and event campaigns for ReST in the coming months. 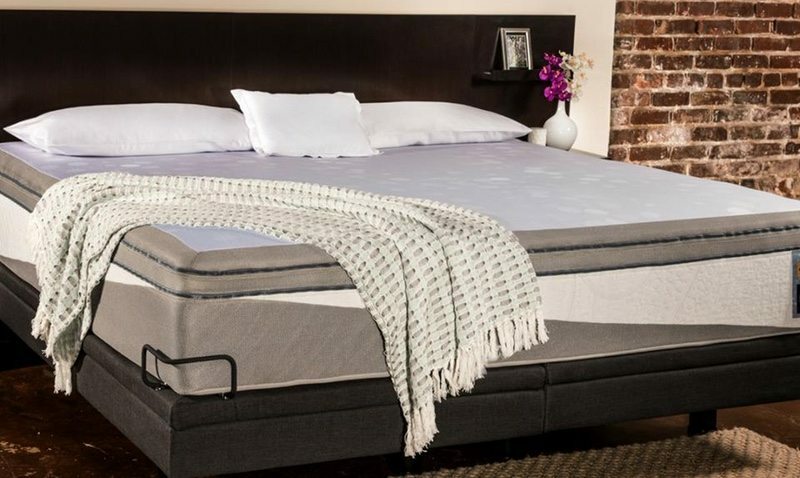 The ReST Bed is available online at www.restperformance.com and select sleep retailers and is offered in sizes ranging from a Twin XL to a California King.